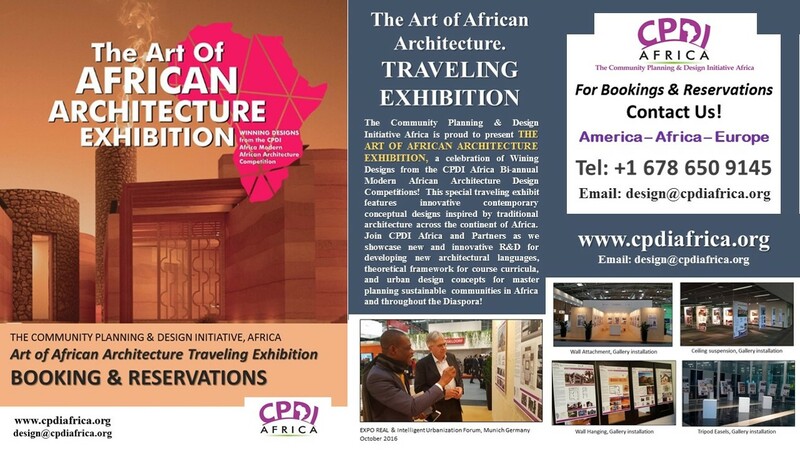 The Community Planning & Design Initiative Africa modern architecture is sourced from traditional design elements. In anticipation of the CPDI Africa Competetion Design Brief, Kidochukwu Chukwuedo, Kopji Golit and Anderw Oketete designed these individual interpretations of traditional African architecture. Their protoype design concepts are sourced from different parts of the continent, and so celebrate the cultures, aesthetics and building techniques of many ethnic groups.